Giuseppe Rocca was born in 1807 in Barbaresco, a town in Piedmont now famous for its wine. He did not remain there long however. By about 1822 he was working in Turin, where he came under the influence of Giovanni Francesco Pressenda, widely seen as the father of modern Italian violin making. Pressenda himself started his own career in Turin only a few years earlier, in the workshop of Nicolas Lété, developing his own disciplined and classically-informed style in the French manner, quite distinct from the improvised and almost casual approach that had developed during the late eighteenth century. 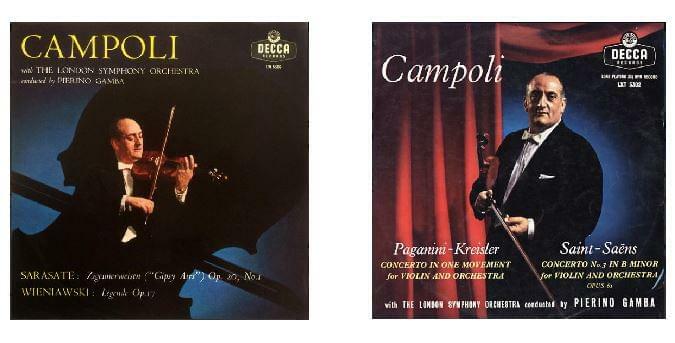 Rocca’s earliest work is almost indistinguishable from Pressenda’s, but by 1838 he was established independently, and acquainted with the great violin collector Luigi Tarisio, another influential force in reclaiming the great classical Italian tradition. Tarisio gave Rocca opportunities to examine master instruments from his collection at close hand, including the 1716 Stradivari and the 1742 del Gesù later known respectively as the ‘Messie’ and the ‘Alard’. Rocca’s work lost some of the heavier aspects of Pressenda, and most of his idiosyncracies, and became more sensitive to the original aesthetic of Cremona, with a lighter touch and great distinction. But it didn’t bring him success. His personal life seems to have been dissolute and turbulent, and in 1851he moved to Genoa, although his connections with Turin continued until the death of Pressenda in 1854, and instruments labelled from Turin persist into the 1860s. Whatever his hopes and ambitions were in Genoa, his output declined, and his son Enrico initially took up employment in the dockyards, before returning to his father’s profession some years after Giuseppe’s early death in 1865. This example labelled 1843 from Turin is a Stradivari copy, but not one of those that can be identified as the ‘Messie’ model. The more conventionally placed narrow soundholes give no obvious clue to the origin, but the outline is very close to the ‘P’ form of Stradivari. The execution of the work is characteristically elegant and beautifully finished, showing a clear understanding of the principles and techniques of the Cremonese. From quite an early period, Rocca settled on a more consistent varnish recipe than Pressenda’s variable colours and textures, and the light, clear golden varnish of this violin is characteristic. The materials used also tell a story. 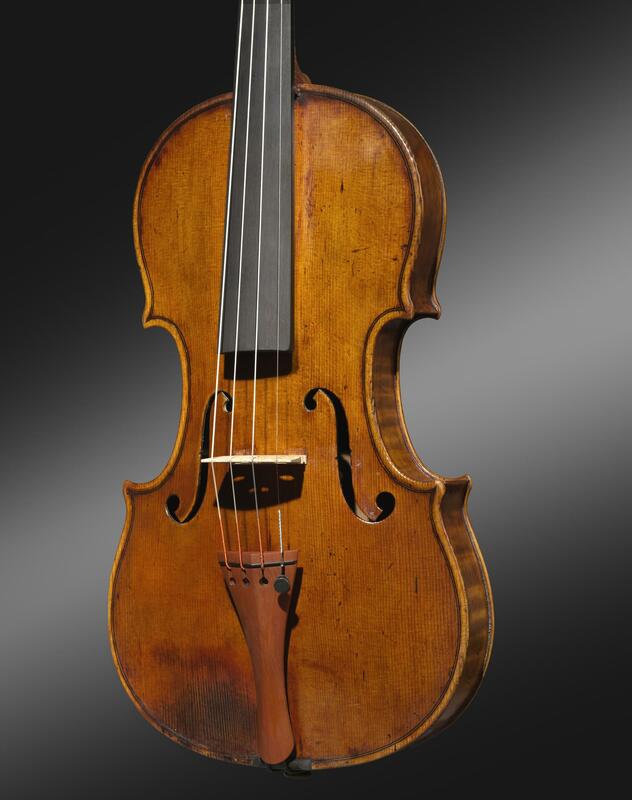 While in Turin and with Pressenda, Rocca had access to very fine imported maple, but with increasing regularity in his later career, he turned to less conventional pieces such as the back of this violin, cut and jointed on the half-slab. Similar wood appears on several instruments, often marked in later years with patches made to cover worm damage already present in the wood. The story that this timber came from the old bridge over the Po river in Turin that was dismantled in 1809 is persistent, and has great credibility. Nevertheless, Rocca’s diligent craftsmanship rarely wavered, and his determination to work at the highest level of craftsmanship never seems to have left him, despite all setbacks. Alfredo Campoli moved to England from Italy in 1906. Making his Wigmore Hall debut in 1923, he became one of the best known British violinists from the 1940’s through to the 1970’s. His career produced an extensive catalogue of recordings, mainly on the Decca label (see below). Although he owned two Stradivaris (the Baillot-Pommerau of 1694 and the Dragonetti of 1700) he played predominantly on his fine Rocca. He is best remembered for the quality and beauty of his tone. London Records, 1952: Beethoven violin concerto – London Symphony Orchestra, Josef Krips.